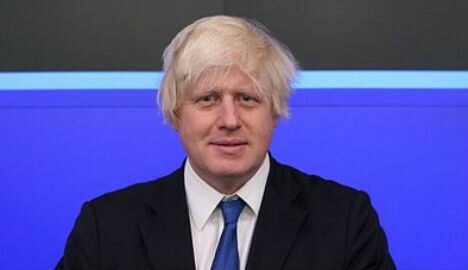 London mayor Boris Johnson has cited Denmark’s power to block foreigners from buying property as proof the EU could allow the UK to delay benefits to EU immigrants for four years. In an article in the the Daily Telegraph on Monday morning titled, “If Denmark can treat foreigners differently, then so can Britain,” the prime-ministerial hopeful noted that no one in Europe seemed to care that Danes can happily snap up property in London, while Brits are barred from buying in Denmark. Why then, he argues, can Britain not be given a similar opt out from free movement rules allowing it to delay giving foreigners benefits? Johnson’s article came after several British newspapers wrote on Sunday that David Cameron, the British prime minister, was planning to abandon his demand, following opposition from the European Commission and from other EU countries, who argue it violates the principle of free movement. He argued that the Danish rule --- negotiated as a condition of its joining the EU in 1973 -- was a sign that there could be exceptions to the seemingly inflexible principle. "We are assured by the pontifical authorities in Brussels...that if there is...any genuflection to national peculiarity, no matter how trivial, the whole edifice of European law will come crashing down with devastating and unimaginable consequences," Johnson writes. "That is what Brussels tells us; and as so often the Euro-priests are talking tripe."